Lunar Electric formed in 2014 as an outlet for the original work of guitarist Dre DiMura. They released their eponymous debut EP in 2015. 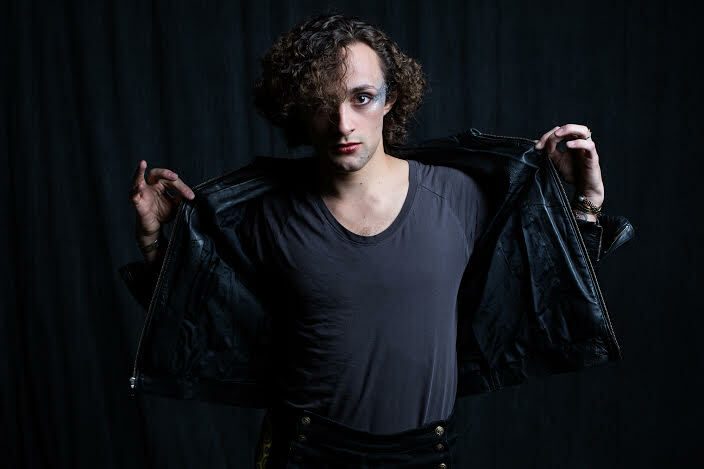 Following release, DiMura spent the next two years caught in a whirlwind of film, television and international touring, working alongside legendary director David Fincher on an unfinished project for HBO, appearing on Nickelodeon with RnB singer, Ciara, and playing hundreds of shows across the globe with Evol Walks and Palaye Royale. At the start of 2017, and at the urging of close friends in the industry, he returned to the tracks that would eventually become Auracle Bone Script, originally recorded in May 2015, and dove headfirst into a production cycle that would last only 7 weeks, but produce a re-imagined EP and 14 minute music video. An edgy blend of glamorous raw power and cerebral art rock, Auracle Bone Script is a loaded gun with enough stopping power to take the world of modern music by storm. Today we’re premiering, “Barnburner,” a track from the EP dedicated to a feeling of unrest and a lack of belonging that strikes home to many. "I wanted the video for Barnburner to be something that would inspire a small town kid in the midwest to do something they'd regret in the morning," said DiMura. "One of my acting coaches used to ask us to make a choice we'd regret in class all the time. He used it as a tool to encourage us to explore new things and free ourselves from patterns. It was all about taking a chance for self discovery. A lot of my songs are pretty heady and this was an opportunity to celebrate and make a video that was energizing and intoxicating and just plain fun. I hope it inspires people to love being themselves." Auracle Bone Script EP will be released on June 23.